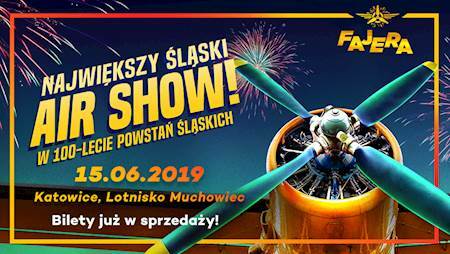 Buy tickets for Fajera 2019 in Lotnisko Muchowiec. Sign up to the FAN ALERT and get the newest updates on this event! Fajera 2019! NAJWIĘKSZY ŚLĄSKI AIR SHOW!